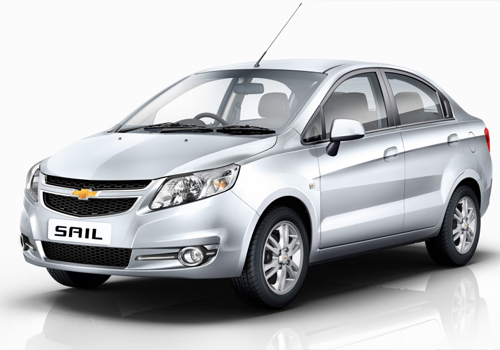 General Motors is going to introduce Chevrolet Sail in 2 versions. The Chevrolet Sail UVA hatch which is going to be launched by next month on 2 November, Chevrolet Enjoy MPV which will be launched in 2012 December and the Chevrolet Sail Sedan will arrive by the year end. I heard this in news and when surfed about the Chevrolet Sail Sedan then was actually surprised to see the new innovation of General Motors. The sedan will be in competition with Maruti Swift Dzire which is the only sedan, presently very much in demand and will be of the same price. The pictures show stunning looks of the sedan. I have already booked it and eagerly waiting to step from Swift Dzire to Chevrolet Sail on my birthday which is also at the year end. It is sure that the sedan will be launched in both petrol and diesel variants. Though there is not much information about it but it has been launched in Columbia with 1.4 L 4 – cylinder 16 V petrol engine that is capable of resulting out peak power of 102bhp and 1.3 L Multi – jet diesel motor engine but in India the petrol engine will be altered to 1.2 L S – TEC II petrol engine. It is also revealed that the looks of the sedan are copied from the present day sedan Chevrolet Cruze like the headlamps. The sedan will be well equipped in its interiors with powerful AC, steering mounted controls, voice command functions, park assist system with sensors, much of space, dual tone fabricated interiors, a hi – tech integrated music system with radio, Bluetooth connectivity, speakers and many more. The sedan even expected to be loaded with the number of safety features to keep their occupants absolutely safe and in peace while driving. The car is soon expected to launch soon and I will book it as soon as the booking starts.